Enriched with shea butter and cherry extract from Luberon in Provence, the light texture of the Cherry Blossom Hand Cream sinks quickly into the skin to moisturize and protect. 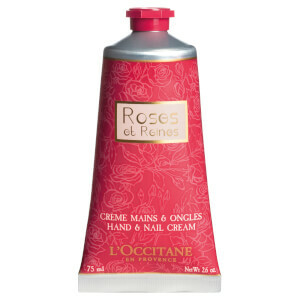 Its delicate scent will take you to the first days of spring in Provence. Aqua/Water** - Isononyl Isononanoate - Glycerin** - Cetearyl Alcohol** - Butyrospermum Parkii (Shea) Butter** - Cyclomethicone - Cetyl Alcohol** - Prunus Cerasus (Bitter Cherry) Extract** - Rosmarinus Officinalis (Rosemary) Leaf Extract** - Cocos Nucifera (Coconut) Oil** - Helianthus Annuus (Sunflower) Seed Oil** - Cera Alba/Beeswax** - Corn Starch Modified - Ethylhexylglycerin - Phenoxyethanol - Chlorphenesin - Propylene Glycol - Hydroxyethyl Acrylate/Sodium Acryloyldimethyl Taurate Copolymer - Xanthan Gum - Ceteareth 33** - Polysorbate 60** - Sorbitan Isostearate - Tocopherol - Parfum/Fragrance - Limonene - Alpha-Isomethyl Ionone - Linalool . 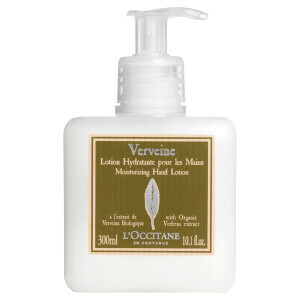 ** Natural origin ingredients. 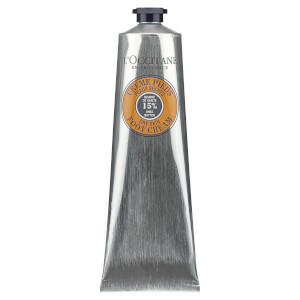 I love this hand cream, it smells amazing and really nourishes my hands!